When one door closes, another one does not necessarily open. The demand for a player changes when a large market team is “out” on a player. With A.J. Pollock signing a long-term deal with the Los Angeles Dodgers, it is widely thought that they are “out” on not only Bryce Harper but also Manny Machado. The Dodgers in late December were thought to be the destination for Harper after they traded Yasiel Puig and Matt Kemp especially when Bryce Harper “liked” a Dodgers related post on Instagram. Whoops. 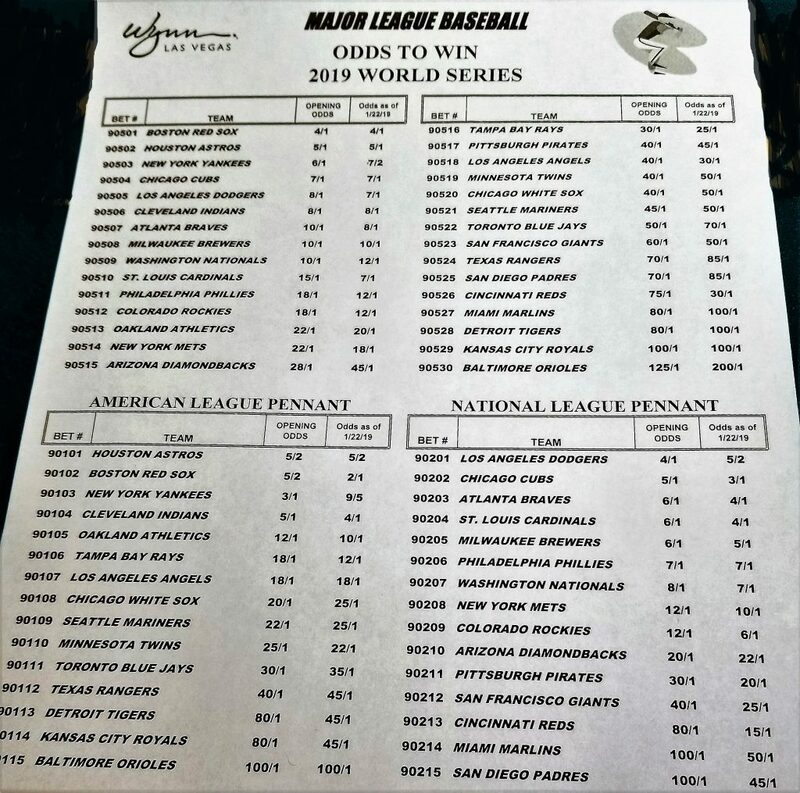 The Dodgers have now spent to near the CBT limit and according to Cot’s Baseball are at $198,168,333 which essentially gives them less than $8 million below the cap. The three most likely spots for Harper all look to be “out” on him: New York Yankees, Los Angeles Dodgers and Chicago Cubs. That has to be a blow to Harper who has to pivot to a Plan B of sorts — but the Washington Nationals might still be open to bringing back Bryce Harper. With Pollock to the Dodgers it would most likely signal that the Dodgers are "out" on Bryce Harper. 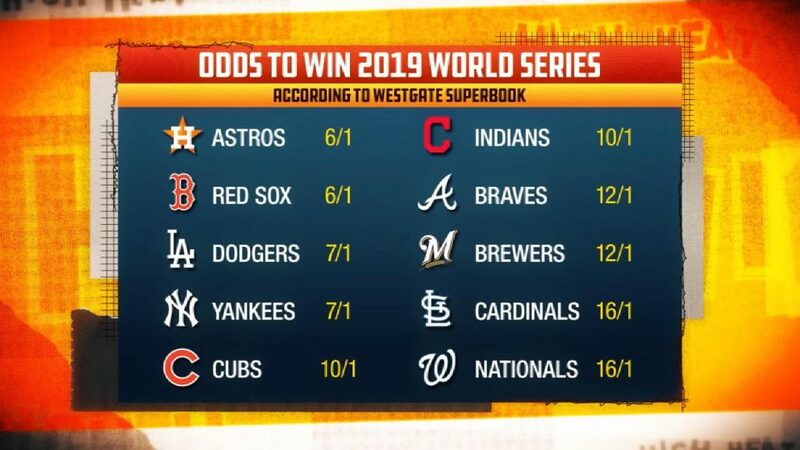 On October 31st, Westgate sportsbook posted their initial World Series odds, and after player acquisitions and initial betting, the odds have changed greatly to today. The Harvard Business Review just did a report on how toxic bosses harm employees in countless ways, and this could certainly be relatable to a GM, manager, or business owner. The article can be read on this link. MLB is reportedly considering returning to a 15-day disabled list and increasing option time for players sent to minors. According to the AP report, there were 702 separate DL placements in 2017 and another 737 in the 2018 campaign. Increased DL stints and minor-league option use made it easier for teams like the Tampa Bay Rays to use relievers as “openers” to start games and the Los Angeles Dodgers to keep starting pitchers fresh. 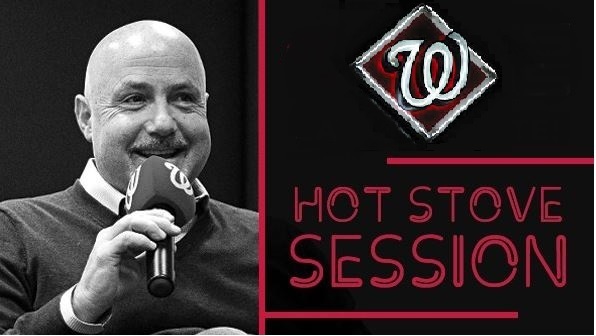 The Washington Nationals were one of the teams that did not “game” the system. Rating services like Baseball America and Baseball Prospectus are coming out with their Top 100 rankings of top prospects. The Nationals have three consensus Top-100 players who are all position players in the rankings with Victor Robles, Carter Kieboom and Luis Garcia. Baseball Prospectus is more bullish on the Robles and Kieboom. Alexandra “Alex” Chappell (formerly Alexandra Corddry) is the new on-field reporter. Like Dan Kolko and Johnny Holliday, she is from Montgomery County and grew up in Bethesda, Maryland attending Walt Whitman High School. Alex went to many Nats games as a teen so this job allows her to stay rooted in the D.C. area after stints in Tampa. She got married last weekend to her husband Scott Chappell who is a patent attorney. The couple live in McLean, Virginia. This also signals the end of Ray Knight on the MASN broadcast after 12-years. Knight was a staple on the MASN broadcasts from the early awful years through the successful years. Knight had a very honest approach in his analysis and called it the way he saw it even if there was a negative vibe to his analysis. Fans seem to appreciate Knight’s candor. After we reported an in-studio off-the-air incident with another employee, Knight was removed from the remaining broadcasts to finish the 2018 season. With the long Federal government shutdown, the Washington Nationals have donated $100,000 to a food bank and several players like Max Scherzer, Sean Doolittle, and Trea Turner have made personal contributions.